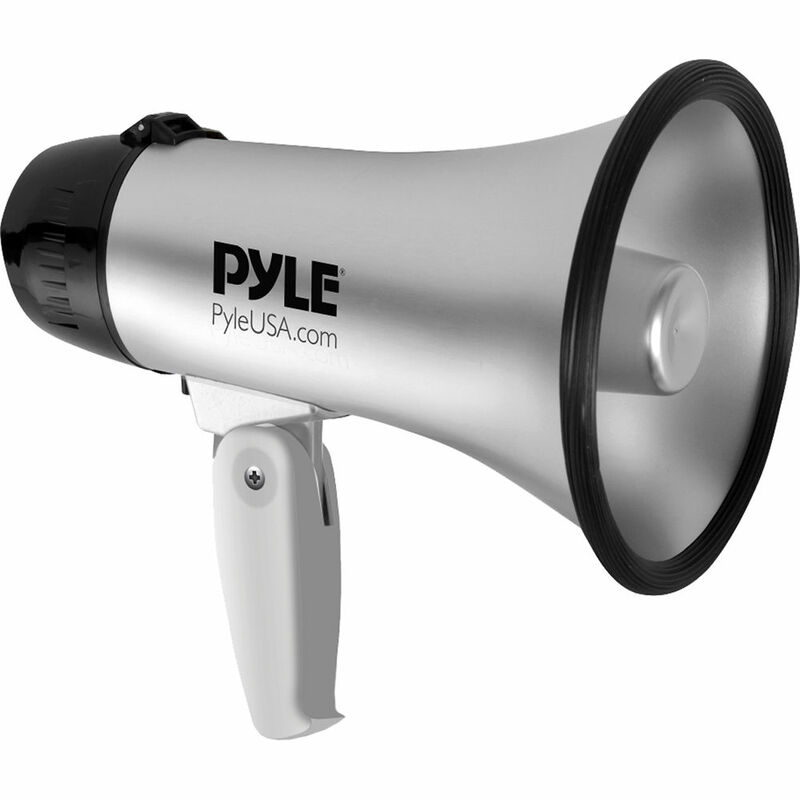 The silver Pyle Pro PMP23SL is a handheld megaphone designed to provide siren and voice amplification for indoor and outdoor public address scenarios. 20W of output power provide a range of up to 400 yards. Utilize the built-in microphone to project your voice, or activate the siren for alerts. The adjustable volume control enables easy optimization of the output level. The compact and lightweight PMP23SL features a durable housing and an ergonomic, folding pistol-grip handle with a convenient carrying strap. It can be powered by four C batteries (available separately). The speak/off/siren switch allows manual power management for prolonged battery life. Box Dimensions (LxWxH) 8.9 x 5.7 x 5.6"